Just got hold of a Nikon E2N 6300092. The Nikon E2I finally arrived. 7100013 seems out of place! Looking at the Nikons, I see a single E2Ns and Eleven E2N cameras that have the 71000xx numbers. 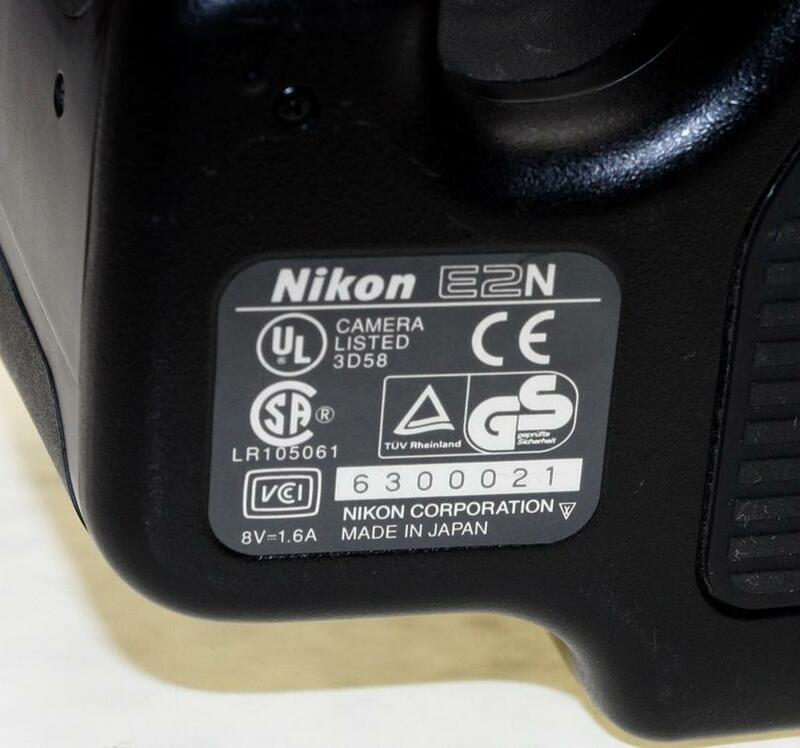 Although some Nikon cameras have been recorded with serial numbers ending in 3 digits(ie 7300112), there are no Fujix cameras with that distinction. Hello! Long time member, first time poster. I've been collecting these for some years now; they used to show up on eBay rather regularly and sometimes inexpensively, but now they don't aside from a few of what I call "sucker listings" (Buy It Now listings with excessive prices which get re-listed for years in the hope a less informed buyer comes along and buys). Could it be that the DS-515 with the 5100001 serial number is the very first off the production line..? I haven't heard of any with 1994 date codes, so perhaps it is. This one actually came with its original box (with matching serial number) and packaging minus one of the styrofoam blocks. Also, regarding the two Nikon E2s cameras with consecutive serial numbers -- both were bought on eBay; oddly, the two listings ended within a few hours of each other, and were from two different sellers on opposite sides of the continental USA. At least one of them didn't have a picture which showed the serial number, so I had no idea that they'd be consecutive numbers until they arrived (on the same day, at that). Strange, eh? I first saw these being used at a hotel ballroom, snapping prom portraits. I used the ones I had for product shooting. I suspect most of them were used in a similar manner. They really did not lend themselves to the sports and news work that the Kodaks were so good for. E3s #9100026 is on Ebay today, As is E2s #5400007, and E2 #5200079.